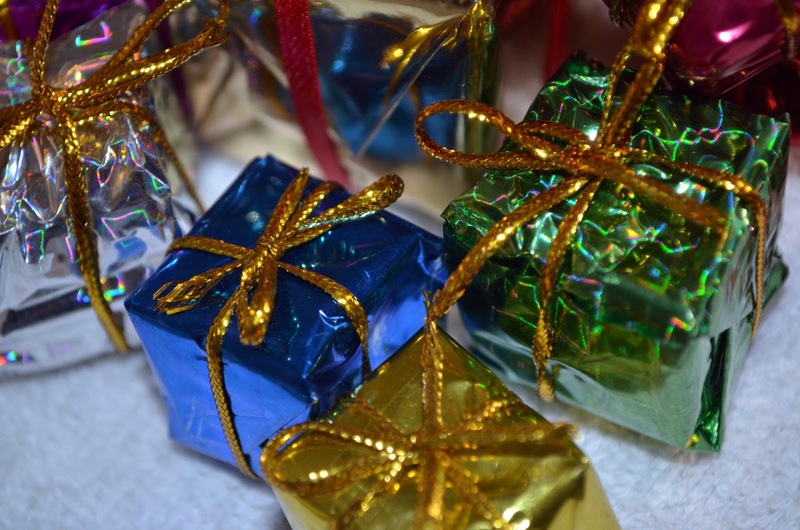 The holidays are upon us, and for many this is the season for gift-giving--but gifts don't have to be store-bought or pricey to be appreciated. Sometimes the most meaningful gifts are the ones the recipient couldn't possibly add to their cart, because they're truly one-of-a-kind. Last year, we posted a roundup of original and inexpensive D.I.Y. Holiday Gifts. This year, we're following up with a few more to consider! Are you the type to wear you heart on your sleeve, or do you know someone who does? Make bookish bangles, featuring pages from a worn-out copy of a much-loved book, or copies of favorite passages! Like that idea, but prefer a more "finished" look? Make a decidely structured book page bracelet with a chain from the craft store. 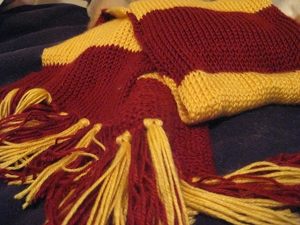 Know a huge Harry Potter fan? Crochet a Harry Potter House scarf, Luna Lovegood's radish earrings, or any number of other free book and movie-inspired patterns! 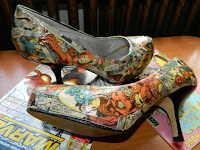 Fans of other popular series have created patterns for favorite characters as well. For instance, want Katniss' cowl? There's a free pattern for that! Need some superhuman energy to carry you through finals? Is your best friend or a family member kind of your hero? Pay tribute to your inspiration by recycling comic books into some fantastic footwear. Love your eReader, but feel conflicted about giving up print books entirely? 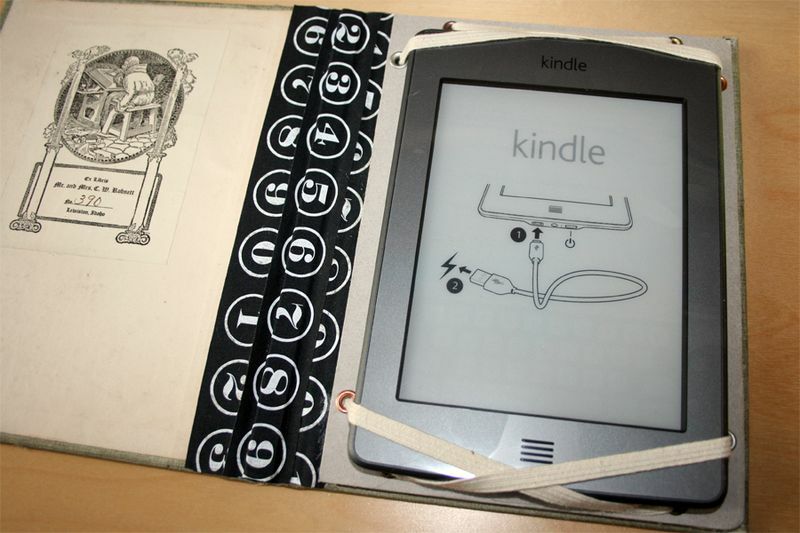 Give an old hardcover thrift store find new life as a Kindle cover! 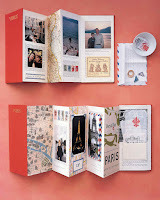 Is there a world traveler on your list? 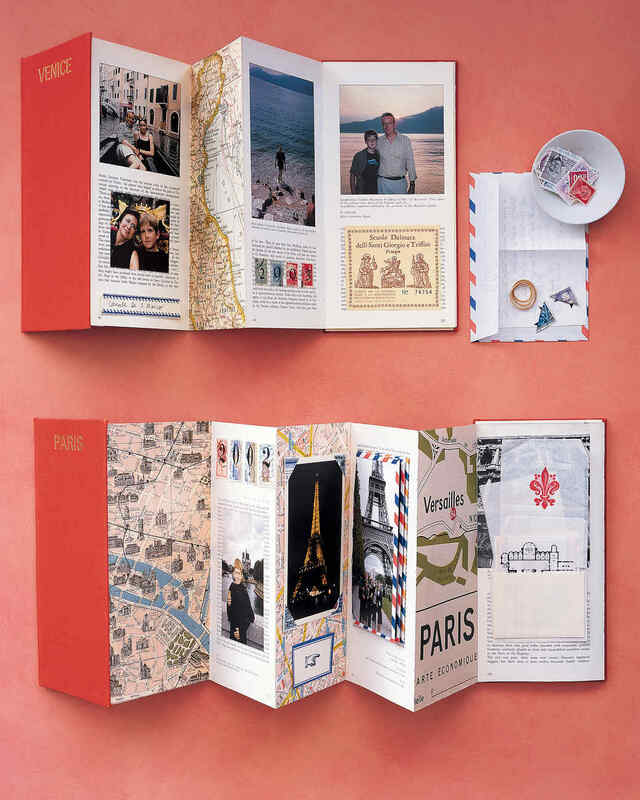 You're probably tempted to buy them a photo album to showcase their Eiffel Tower selfies, but might we suggest re-purposing a guidebook as a travel scrapbook? Have a favorite bookish craft? Share with us in the comments!